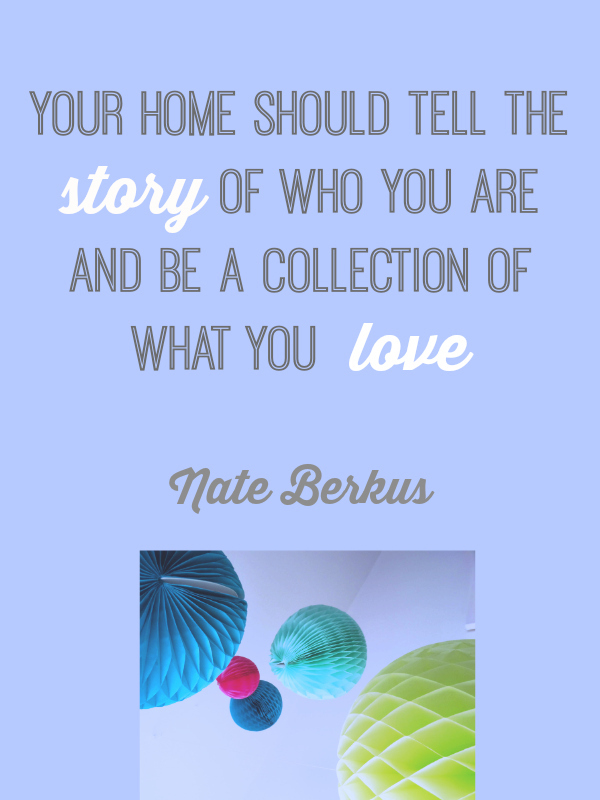 I couldn’t agree more, Nate Berkus. It might be stating the obvious, but lots of us are worried about what we should include in our homes, and about how the home should look. Your home should be an extension of your personality. It should showcase the things you love, whether that means following trends or displaying your antique ornament collection. It should be about you and your family. If you don’t like colour, don’t include it, but if you love eclectic styling, go for it. The sentiment behind this quote is just lovely, and one we should all remember and try to embrace when we’re decorating.